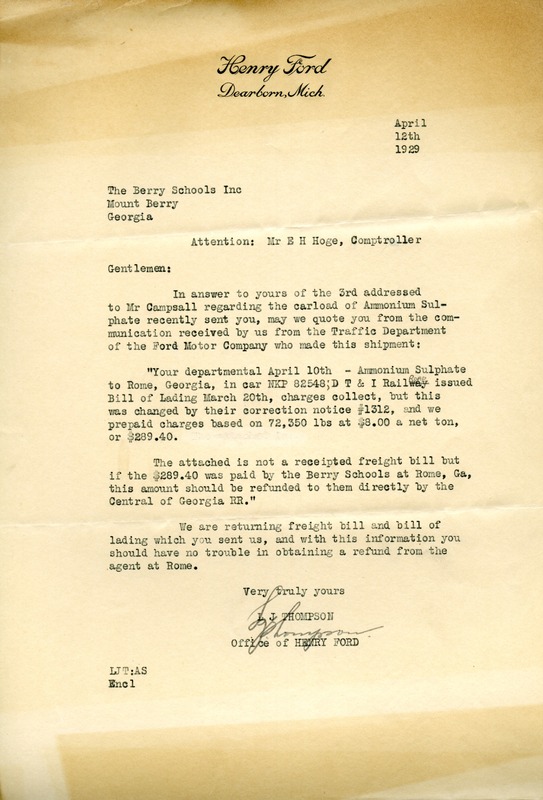 This letter is regarding a freight bill and bill of lading from Ford Motor Company. Mr. L. J. Thompson, “Letter from L. J. Thompson to E. H. Hoge.” Martha Berry Digital Archive. Eds. Schlitz, Stephanie A., Chelsea Risley, Meg Ratliff, et al. Mount Berry: Berry College, 2012. accessed April 19, 2019, https://mbda.berry.edu/items/show/10076.